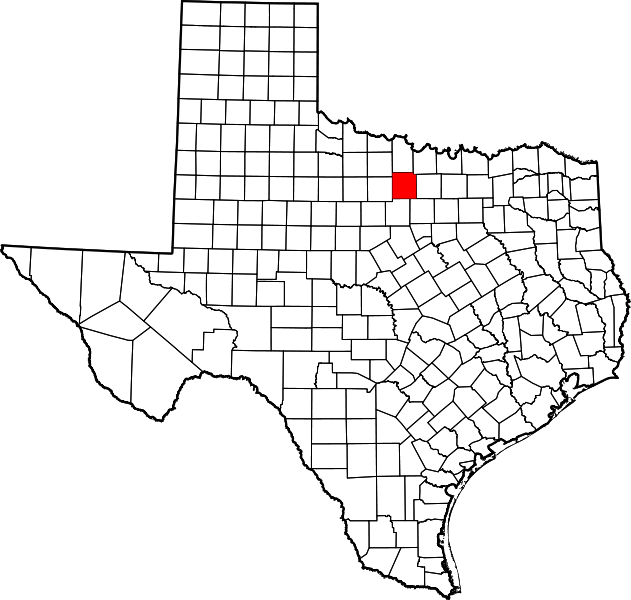 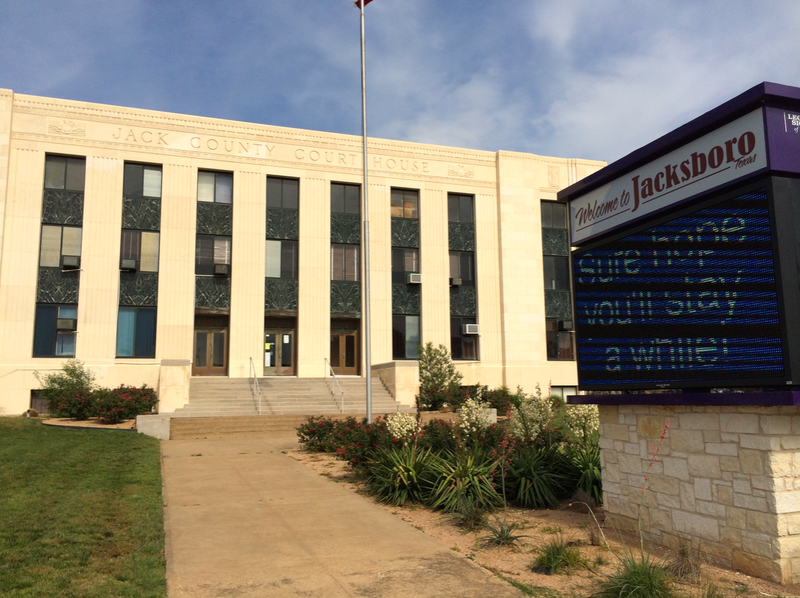 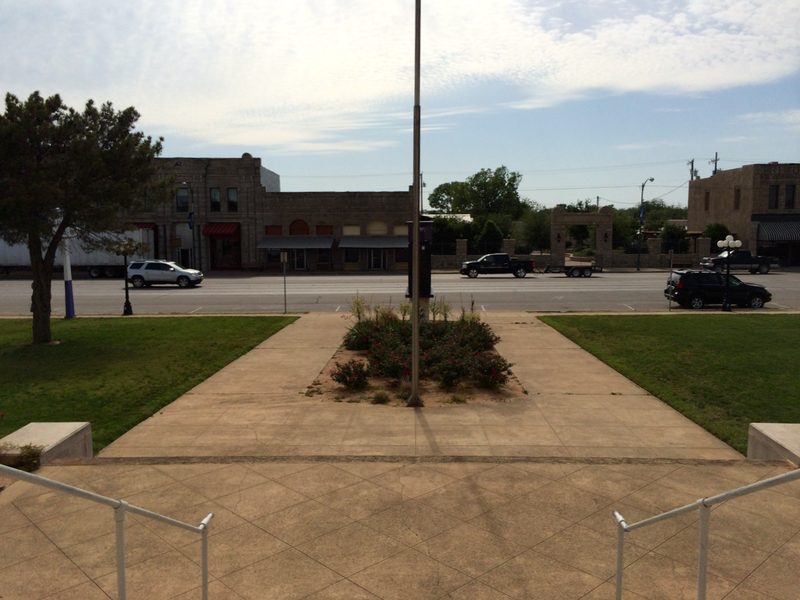 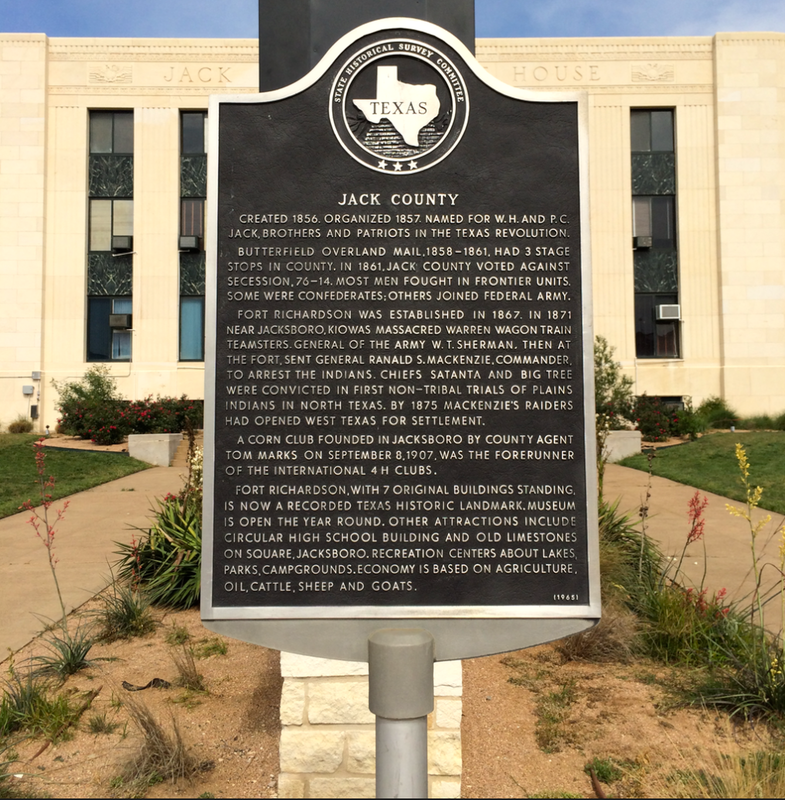 I was the guest of Jack County and Jacksboro on January 8, 2011 and returned to rephotograph the courthouse on May 17, 2014. 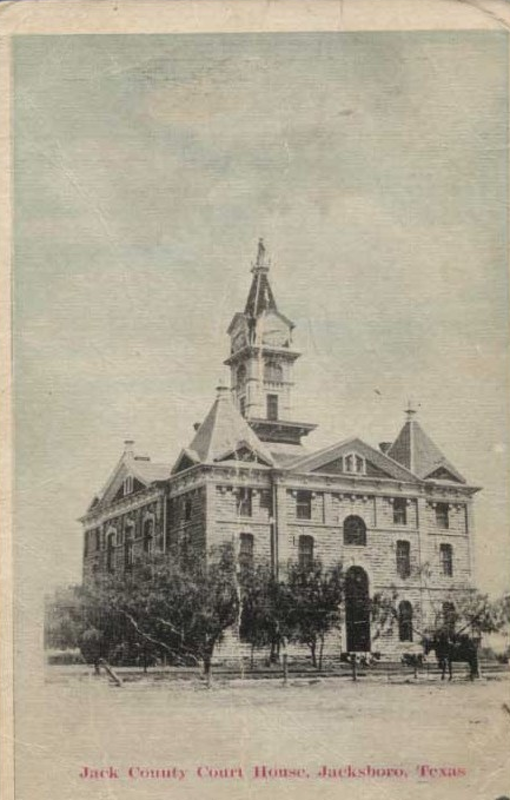 Constructed of limestone by Strain, Risley, & Winburn and designed in the Italianate Style by James Flanders, this courthouse was destroyed in 1938 in preparation for the current structure. 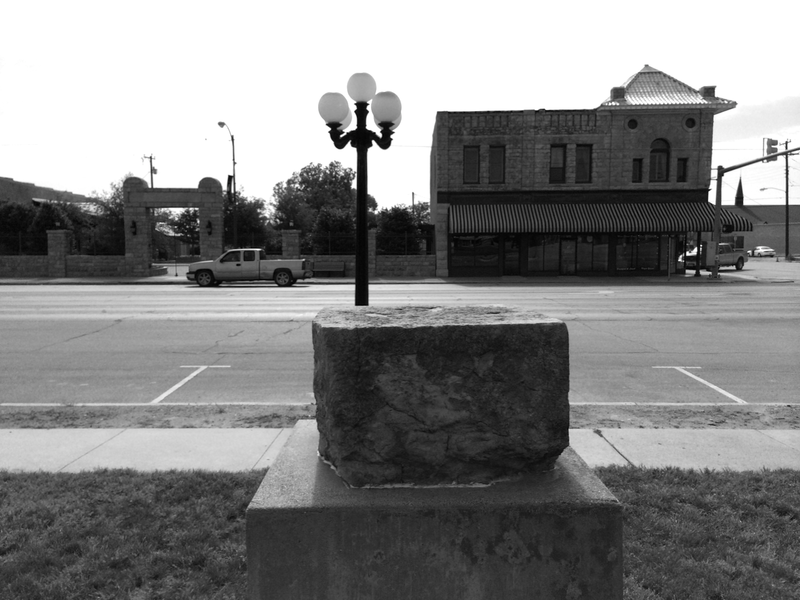 The county preserved both the cornerstone and bell of this historic building. 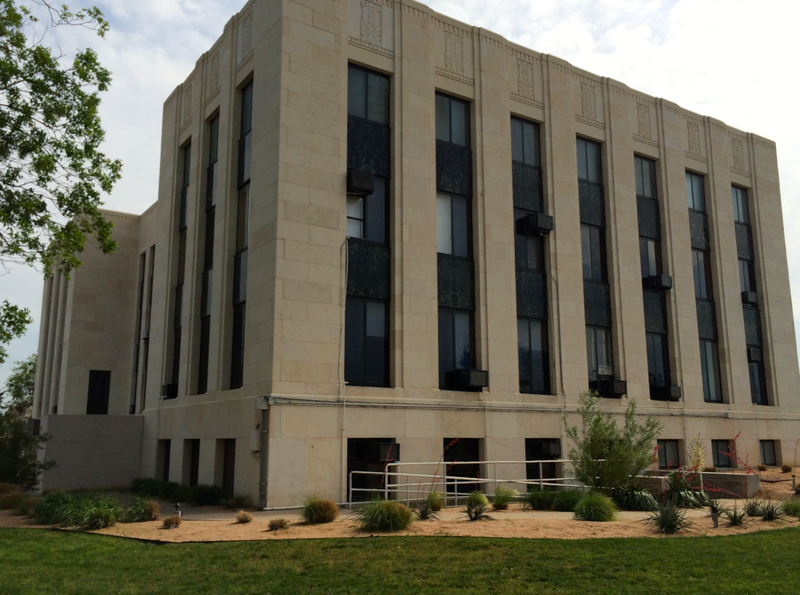 This Moderne work of Voelcker & Dixon cost the county approximately $250,000 with partial funds provided by the WPA. 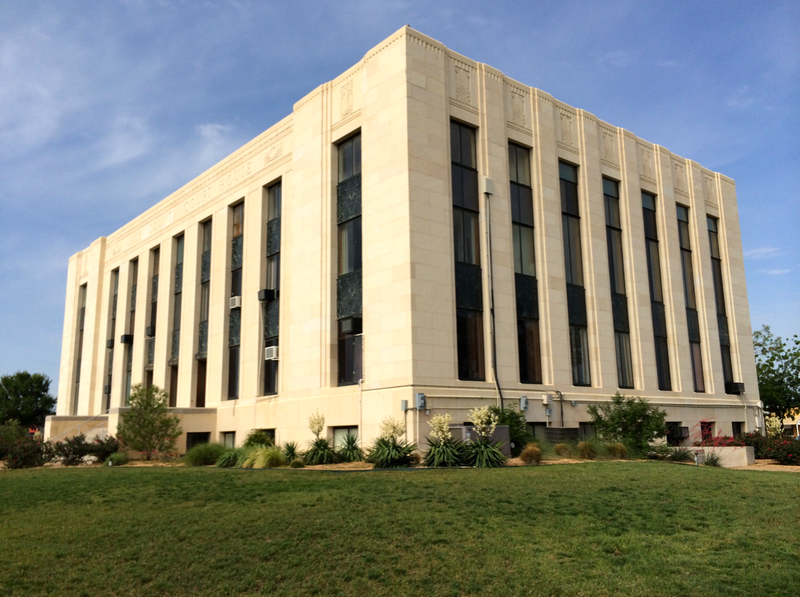 It was built of Cordova Cream limestone by Eckert & Fair of Dallas. 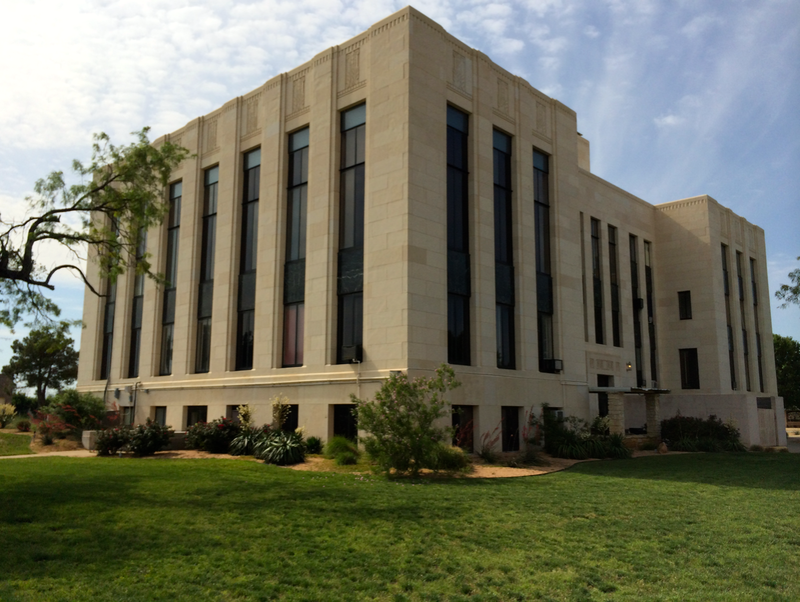 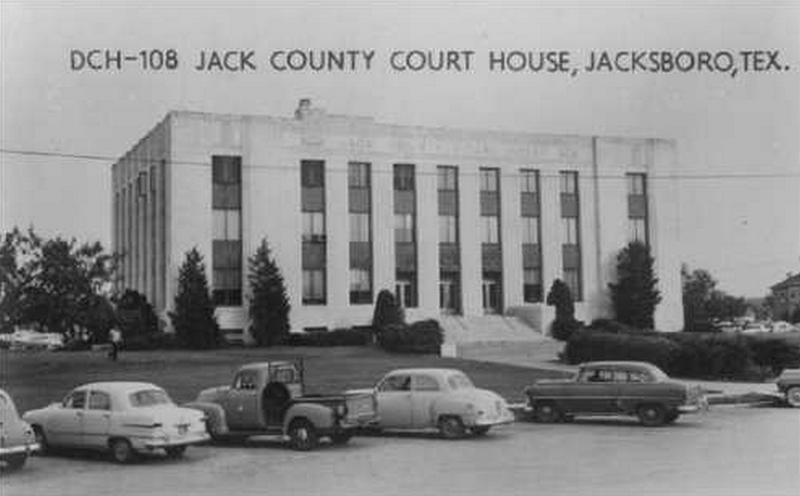 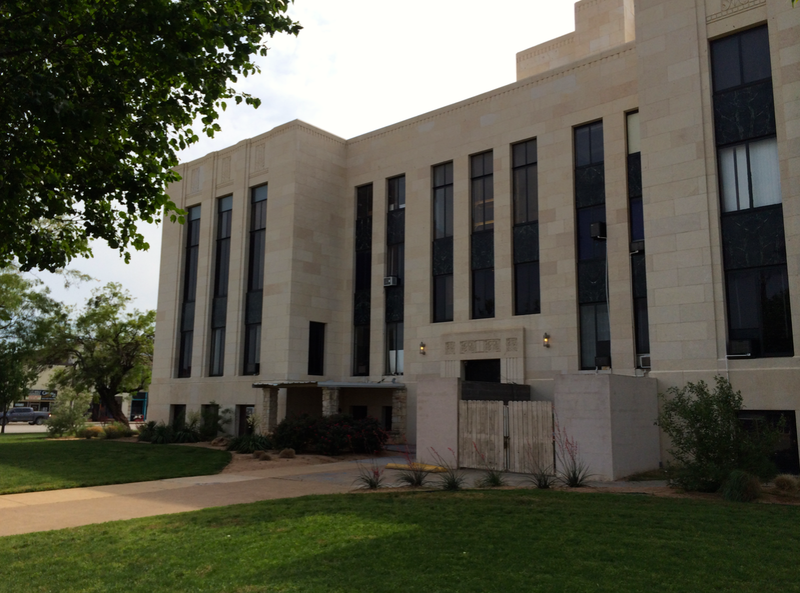 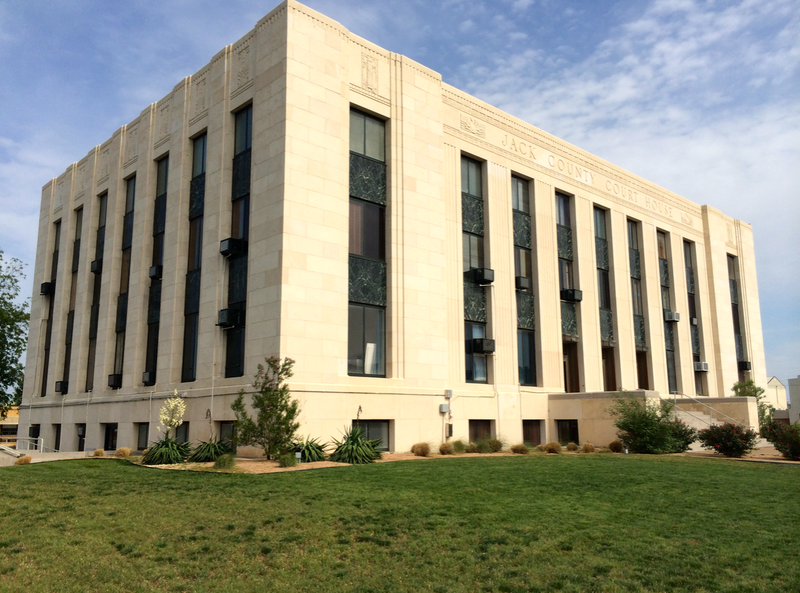 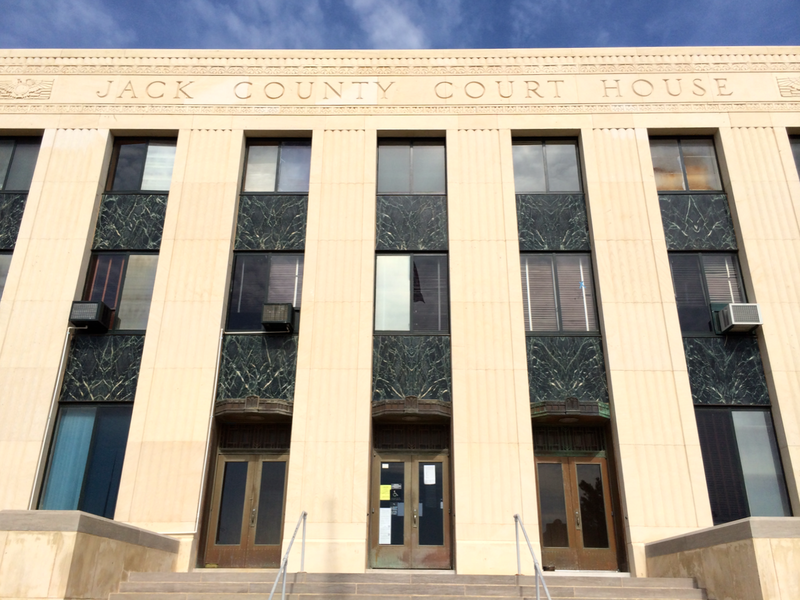 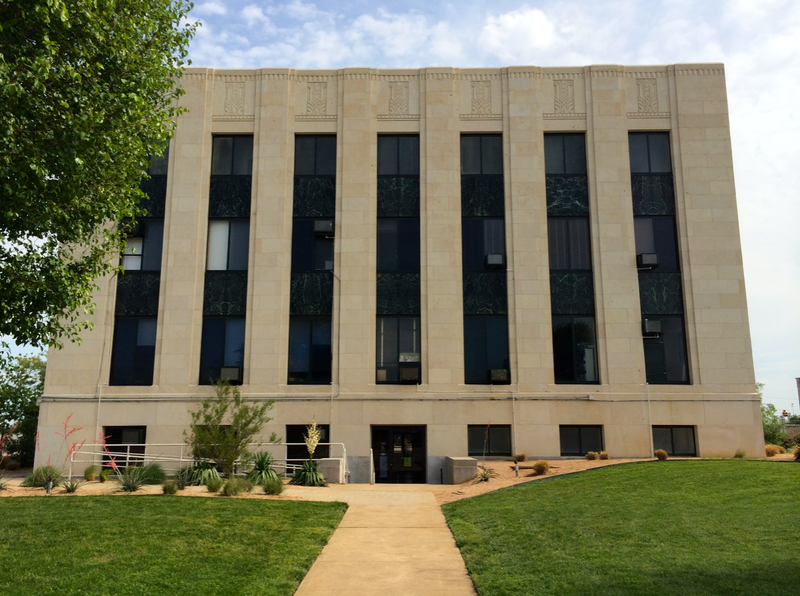 The pristine Jack County Courthouse; for a modern building, it still catches its viewers’ eyes. 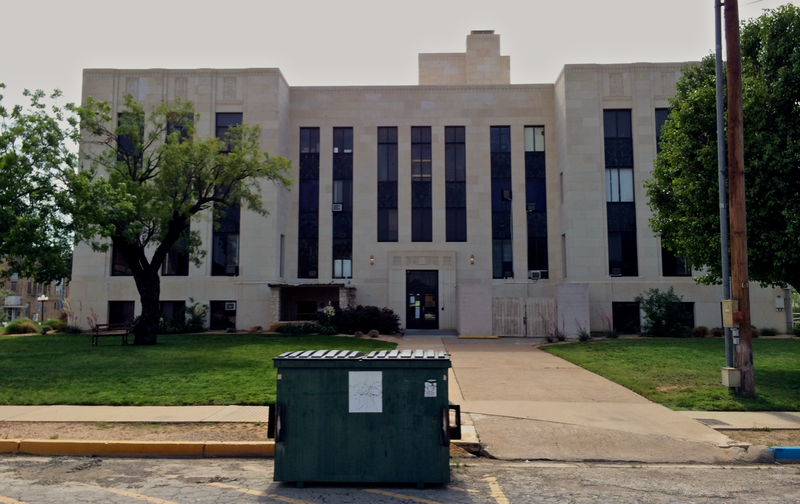 Of course, the “grand” assortment of air conditioners diminishes the appeal. 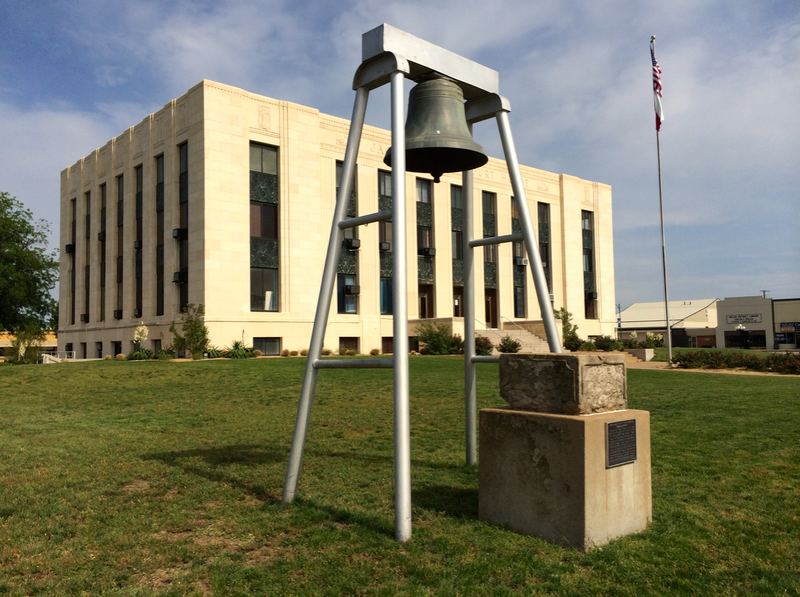 The historic bell and cornerstone from the 1886 courthouse are displayed on the northwest corner of the courthouse grounds. 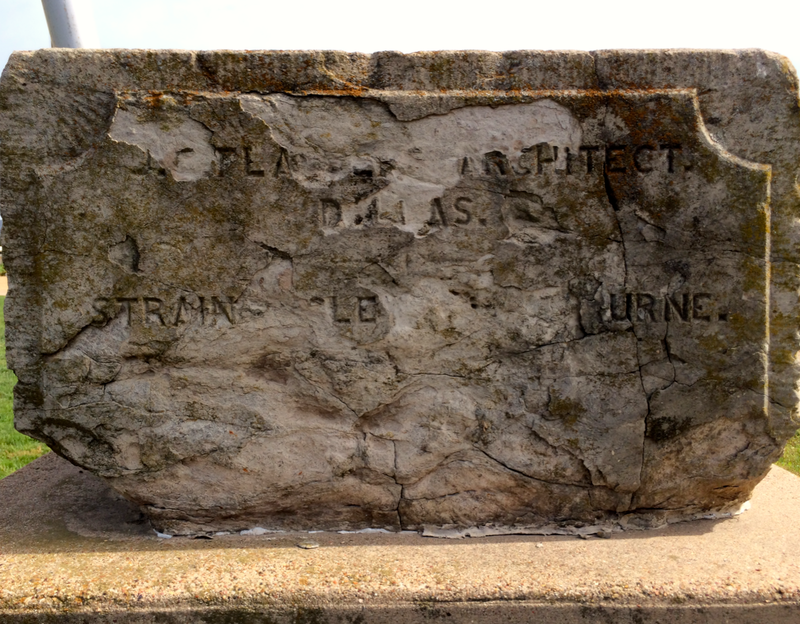 It’s in pretty bad shape. 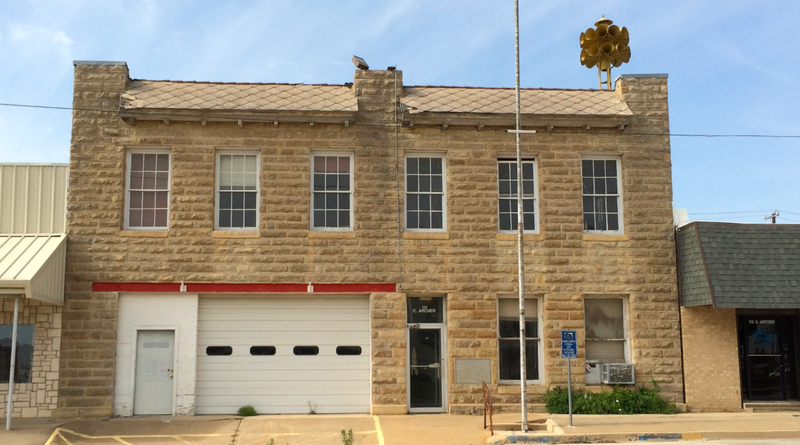 The retired Jacksboro Fire Station on Archer Street; get a load of that siren!